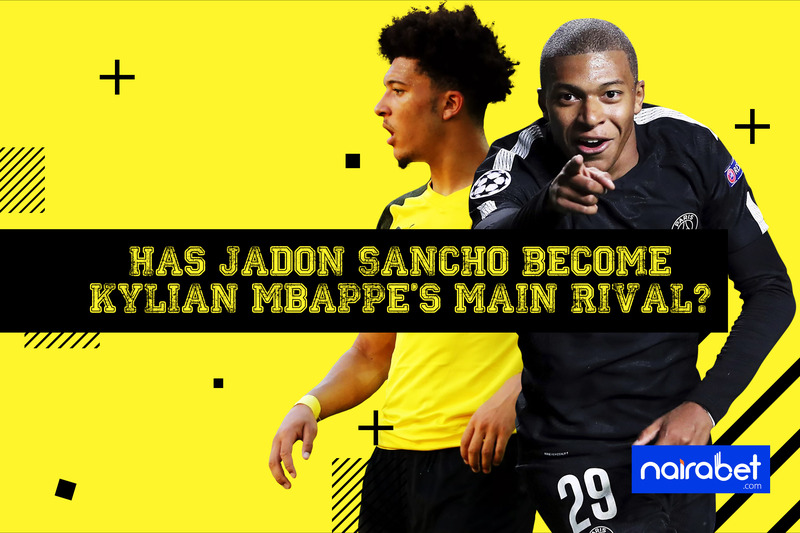 Has Jadon Sancho Become Kylian Mbappe’s Main Rival? In football, it’s pretty rare to see a teenager (no matter how good they are) break into a national team’s starting XI, be a constant feature at the World Cup and score four goals. It’s an arguable statement of fact that Kylian Mbappe is the most popular teenager in world football at the moment. After helping France to win the FIFA World Cup this year and being named the best young player of the tournament, his stock skyrocketed, causing him to be named in the same rank as the great Pele. In the French Ligue 1 this season, the 19-year old (who will turn 20 by December) has contributed to 12 (10 goals, 2 assists) of the 39 goals scored by PSG this season. In the UCL this season, he has been directly involved in a third of the goals scored by the Paris outfit. Kylian Mbappe to finish the UCL top goalscorer this season has been priced at odds of 27.00 on NairaBET. The French youngster is still very much in the spotlight. 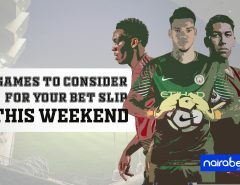 But hot on his heels is an 18-year old English football player whose stock is fast-rising and seems to do a lot of talking with his boots. A year ago, Jadon Sancho was part of the Manchester City U-23 set up and even featured for them in the UEFA Youth League. Unlike other English teenagers who decide to stay in the country, Sancho’s move to Borussia Dortmund has thrown him into the spotlight. His recent flurry of goals has made him a constant feature whenever the German Bundesliga is being discussed. New to the league and in his first campaign as a senior player, Sancho’s performances and stats continue to wow the football world. He has now scored in three matches in a row after netting against Atletico Madrid and VfB Stuttgart, and four of his five competitive goals for Dortmund have come in those three appearances. 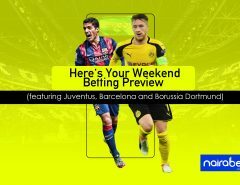 Can Jadon Sancho score again for Dortmund when they take on Wolfsburg this weekend? Even more impressive is that, despite starting just three league matches, Sancho is second in the Bundesliga’s combined goals and assists table, having been involved in ten goals (scored four, assisted six). BVB teammate, Reus, also has 10, behind Eintracht Frankfurt’s Sebastien Haller (11). On the international scene, Sancho is a winner too, having won the FIFA U-17 World Cup with England in India last year. Both players are still in their teens, although Sancho is 18 going on 19. Both players have showed that age is just a number when it comes to holding their own at their respective clubsides. For both players, they can go on to conquer the world, if they stay healthy. What do you think? 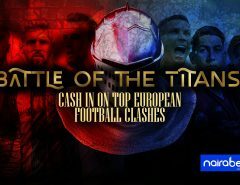 Is this a classic case of another Ronaldo-Messi, Pele-Maradona kind of rivalry slowly gathering momentum? Join the conversation by leaving us your comments. We’d love to hear your opinion.